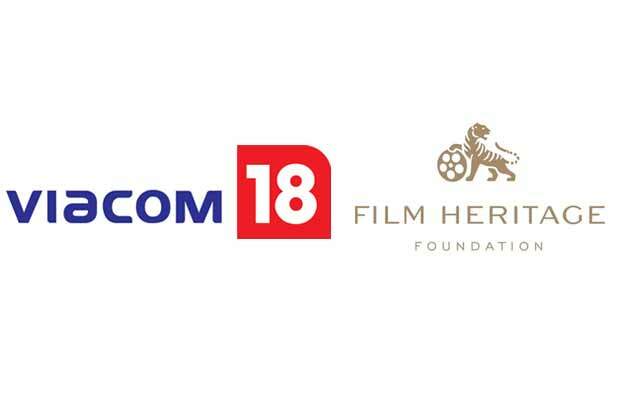 [tps_footer]After having accomplished a successful inaugural edition of an academic initiative focused on film preservation and restoration in partnership with Film Heritage Foundation, (FHF) Viacom18 has joined hands with FHF for the 2nd time in a row with an aim to save and uphold the legacy of India’s cinematic heritage. The workshop titled ‘Film Preservation & Restoration Workshop India 2016’ will take place from February 26th to March 6th in Pune and will involve lectures, presentations and practical classes that will be conducted by leading international experts in the field. The workshop will be inaugurated by none other than veteran actor Naseeruddin Shah in the presence of Sunil Arora – Secretary of the Ministry of Information and Broadcasting, Sudhanshu Vats – Group CEO Viacom18 Media Pvt. Ltd., Shivendra Singh Dungarpur – Founder Director of Film Heritage Foundation and Prakash Magdum – Director of National Film Archive of India. Recognizing the urgent need to preserve India’s rich filmic legacy, this initiative is a much needed effort which was conceptualized by acclaimed filmmaker and archivist; Shivendra Singh Dungarpur and further associated and collaborated by Viacom18. Being a media conglomerate and a content creator, Viacom18 understands the need to preserve content created currently for the generations to come. While last year the workshops were held to create awareness about film conservation, the main evolution this year is for the first time bringing to Indian Cinema the level of expertise and access to information that is required to help the cause of film preservation at large.